A fire has demolished a lobster-packing plant in Richibucto Village, putting more than 150 people out of work. The fire alarm at Cape Bald Packers processing plant went off at 1:45 a.m. Thursday, alerting emergency services and the plant manager. 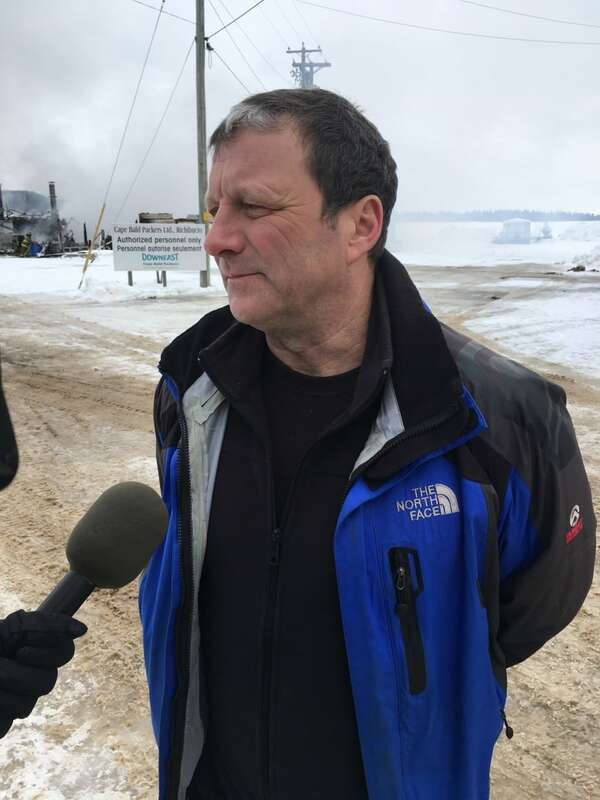 "I arrived here at 2:20 and you could already see flames coming out of the roof, so it was, it was, you could tell it was major," said Louis Arsenault, manager of the plant in eastern New Brunswick. 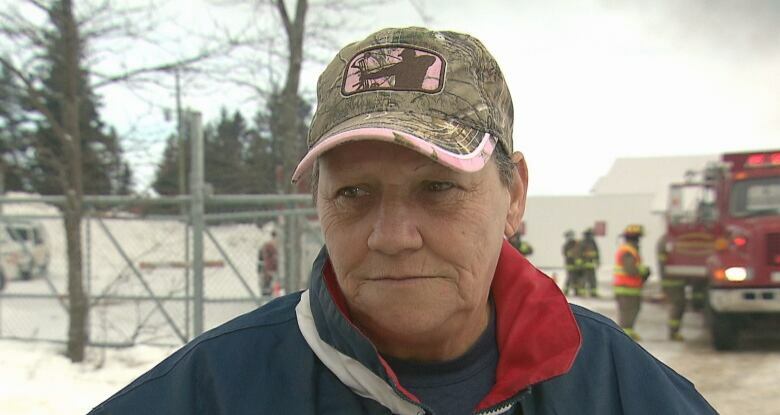 Patricia Leblanc, who has worked at the plant for over three years came to the scene with a friend as soon as she heard. "It's like somebody died, we don't have any jobs anymore," Leblanc said. The plant employed around 200 people almost seven days a week during the peak lobster season between May and December, and around 150 people two or three days a week during the off-months. The plant processed lobster from across Atlantic Canada and the U.S. Most recently, workers were processing lobster from Nova Scotia. Arsenault said the company plans to rebuild as quickly as it can, but many employees are wondering when and if they will be back at work. "This is only a small village and everybody is fishing, so it's really bad," Leblanc said. 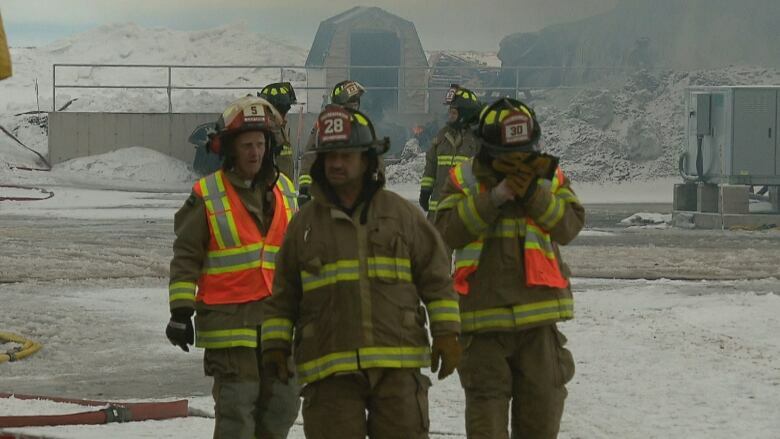 Arsenault said the company will be meeting with employees as soon as possible to discuss the next steps. He said there are two other Cape Bald plants in Cap-Pelé, about 90 kilometres away. It is possible workers from the Richibucto Village plant may be able to find some work there, but Arsenault said it's too soon to guarantee anything. No one was inside the plant when it caught fire. 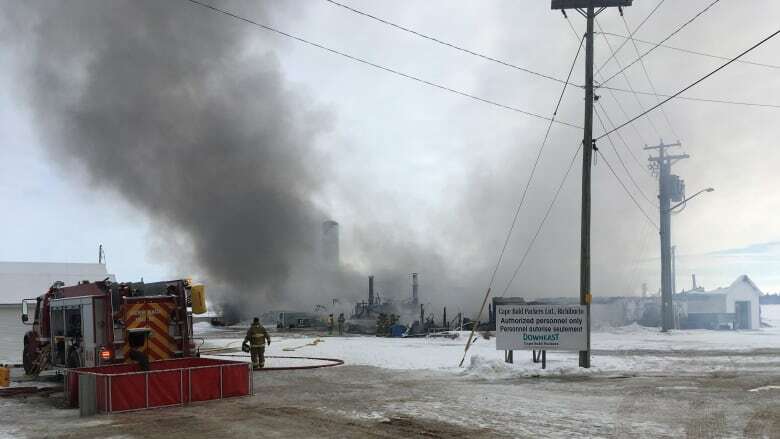 Fire crews were able to rescue some equipment, such as trucks and forklifts, but Arsenault said the building is a total loss.